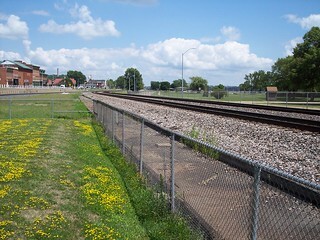 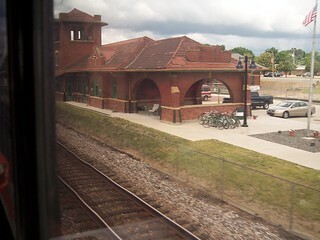 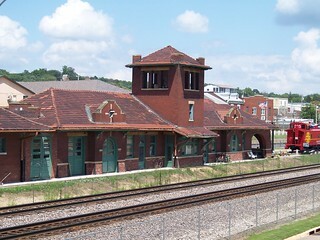 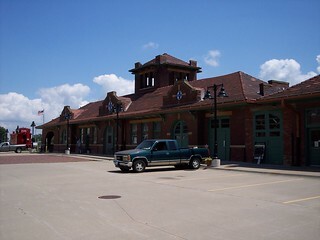 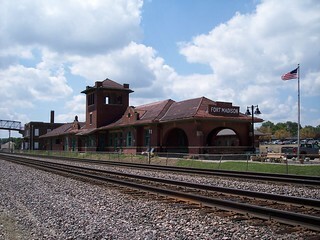 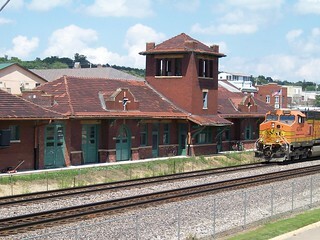 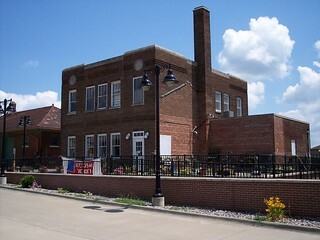 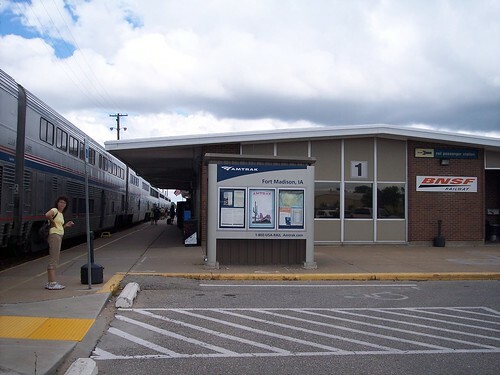 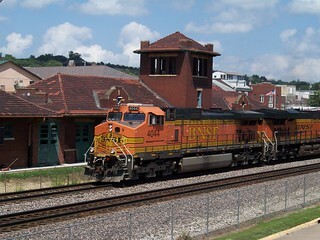 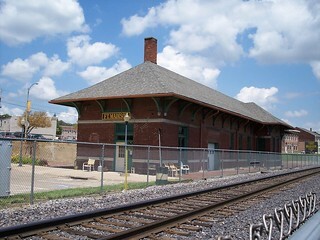 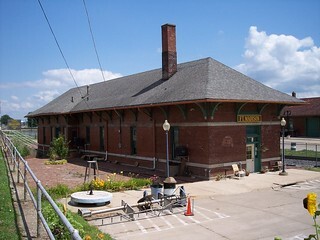 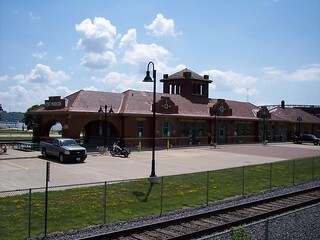 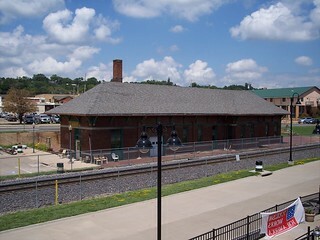 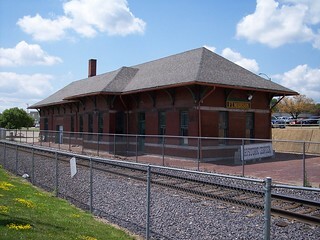 The current station and platform in Fort Madison. 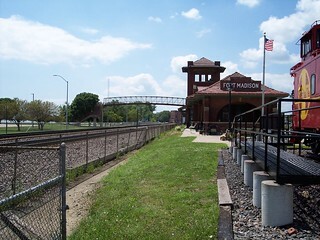 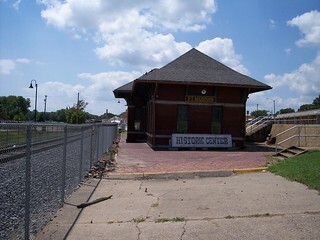 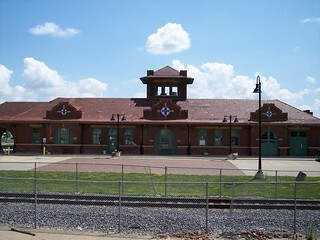 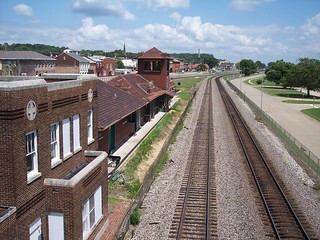 Closer to downtown and the Mississippi River sit a couple of much older stations that are now a museum. 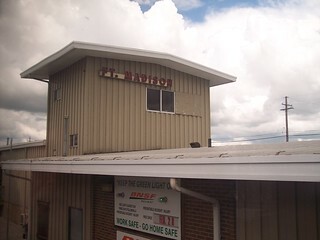 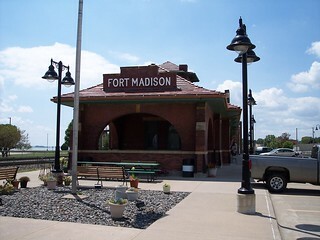 The Fort Madison sign on the old station was recently replaced.